California Machinery Movers was on time and was no nonsense in getting the job done. The offload was on a bit of a hillside and they performed just fine. The positioned the equipment just as requested. All in all a good job. California Machinery Movers has moved a lot of equipment for us. Never a problem. Highly recommend them for all of your rigging and moving needs. The staff in California Machinery Movers are super friendly and professional. I have worked with them on moving equipment both for my company as well as others and I have never been disappointed. 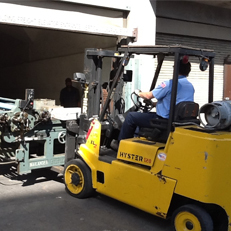 These guys really know their stuff when it comes to moving heavy printing equipment. 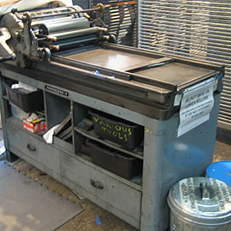 I had a Vandercook Press moved into my studio and the driveway leading to it was full of cracks, potholes and bumps. Nothing stopped them from getting my press in there with no harm. The care California Machinery Movers took was impressive as they guided each other with the forklift over every little bump. There were various machinery in tight spaces and nothing deters them. I always know my equipment is in good hands if the crew are handling the move. Definitely recommend. I found myself in a desperate situation where I needed a 80qt Hobart Mixer moved into my storage unit at the last minute. I called California Machinery Movers and was given a quote within about 45 min. California Machinery Movers where on location 2 hrs later and moved my mixer within an hour. They were both kind and professional! They really saved my day. I highly recommend their services and will be calling them again when I move my equipment to another location. 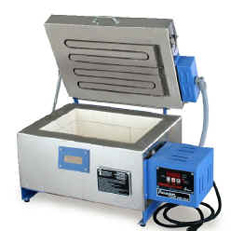 California Machinery Movers recently moved a ceramic kiln for me and I couldn’t have hoped for a better experience! 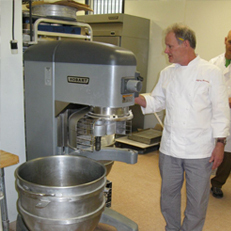 They were responsive, professional, friendly, very careful, had all the right equipment, and were very reasonably priced. Access to the kiln at its original location and where it was being moved to was not only tight but also included crossing a section of lawn, and going up a sloped driveway. I had been concerned that this could be problematic but riggers from California Machinery Movers handled it all with ease. If you ever need a kiln or any other large equipment moved, don’t consider anyone else, pick these guys!!! Thanks VERY much. It was a pleasure working with CMM. Very professional, friendly and got the job done on time and within budget. 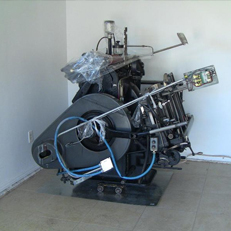 California Machinery Movers recently moved a three thousand pound printing press into my garage. I would highly recommend them. California Machinery Movers responds to emails in a timely manner, sends you a quote via email (10% discount if you pay by cash), shows up exactly when he says he’s going to show up, does not mishandle your equipment, is friendly and an all around professional. I’m sure if you’ve considered moving printing equipment, letterpress in particular, Jim’s name and company have come up for good reason. His name was also referred to me by the International Print Museum in Carson. California Machinery Movers moved our press recently and it was smooth as it could be. Their riggers are very professional and friendly! 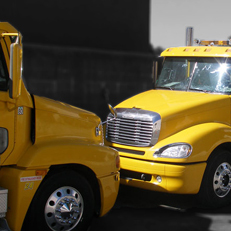 If you have heavy equipment that needs to be moved, California Machinery Movers is the one you need! 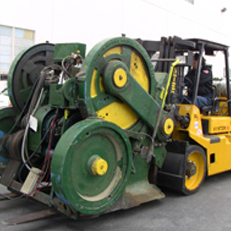 We have used many machine moving companies in the past but this was the first time we have used them. I had found this company on Craigslist and what caught my eye is “they would beat any price”. I thought I would give them a try and see what they would quote me on some machines we needed relocated. I was very happy when I called and explained what it was that we needed moved, and they got me a quote immediately over email and it was very professional and detailed. We needed this equipment moved pretty quick but when I called to schedule a move because their pricing was the best I had found, they already had a full schedule for that day. The lady who helped me said she would get back to me to see if they could rearrange their movers to accomadate us. Sure enough she called right back and was able to fit us in. She sent the movers over the next day and they showed up on time and moved our machines to the new location. Jim the owner was one of the guys who moved the machines and was more than helpful and went above and beyond. 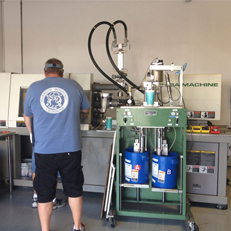 Not only did they move the machines we were quoted but also a few additonal items at no additional cost. 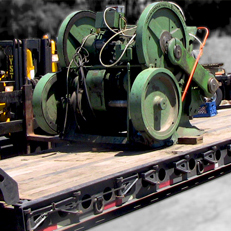 To say the least, our company was more than satisfied with California Machinery Movers and we are in the process of using them again for another job and will continue to use them for all jobs going forward. They were the best price around by $50-75 and exceeded our expectations with great customer service by all the staff I spoke with. THANK YOU for a great experience!!!! Wow! You guys really deliver what you promise. …You did an amazing job moving our “stuff”. Thank you! It really was a pleasure working with California Machinery Movers from start to finish. 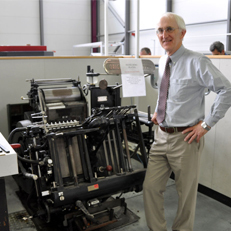 They helped us move our 1952 Heidelberg Letterpress into the correct spot at our design/print studio. We found them to be analytical, thorough, fast, professional, competent and nice! 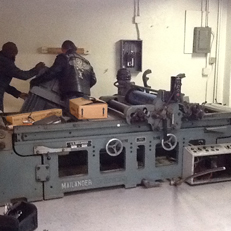 Due to their knowledge and familiarity of the print industry, we knew that our vintage machine would be in good hands. Many thanks! 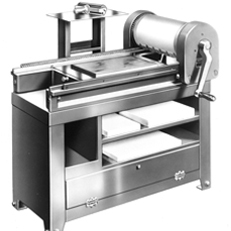 California Machinery Movers had moved my Vandercook press and Challenge cutter a few times, they are GREAT! I cant rave enough about what they do! Not only they are very professional and informative about the all the moves, they are also responsive with email and phone calls. I will not trust anyone else to move my machines other than Jim and his team. 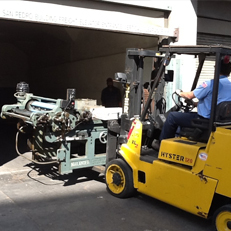 On different occasions, Goodway Printing and Graphics has had the opportunity of working with Jim Salazar and California Machinery Movers. The service provided was extremely professional and courteous. Without hesitation, I would recommend them to friends and business associates. It was great working with your crew. They were all very professional and I couldn’t have asked for more from any other company. I will definitely put California Machinery Movers on the top of my list for handling heavy, awkward moving tasks at a reasonable price.